Monday, June 4th at 6:30 pm. This is a ticketed event. Tickets cost $29.67 each and include one hardcover copy of Dorothea Benton Frank's newest book, BY INVITATION ONLY, and seating for the event. NO PERSONALIZATION OR INSCRIPTIONS will be possible. Dorothea Benton Frank's other books will be on sale at the event. Due to time constraints, only books bought from The Doylestown Bookshop will be signed by the author. Seating is first come first serve. Doors open at 5:30 pm. By Invitation Only is a tale of two families, one struggling to do well, one well to do, and one young couple--the privileged daughter of Chicago's cr me de la cr me and the son of hard -working Southern peach farmers. 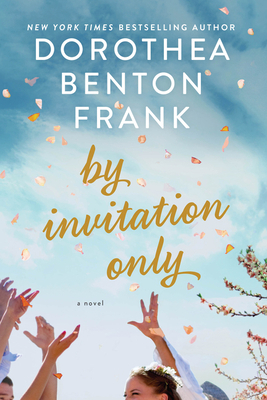 Dorothea Benton Frank offers a funny, sharp, and deeply empathetic novel of two very different worlds--of limousines and pickup trucks, caviars and pigs, skyscrapers and ocean spray--filled with a delightful cast of characters who all have something to hide and a lot to learn. A difference in legal opinions, a headlong dive from grace, and an abrupt twist will reveal the truth of who they are and demonstrate, when it truly counts, what kind of grit they have. Are they living the life they want, what regrets do they hold, and how would they remake their lives if they were given the invitation to do so? If you can't come to an event and still want an autographed copy of the book, you may purchase titles in advance either in the store, over the phone (215.230.7610), or through our website.